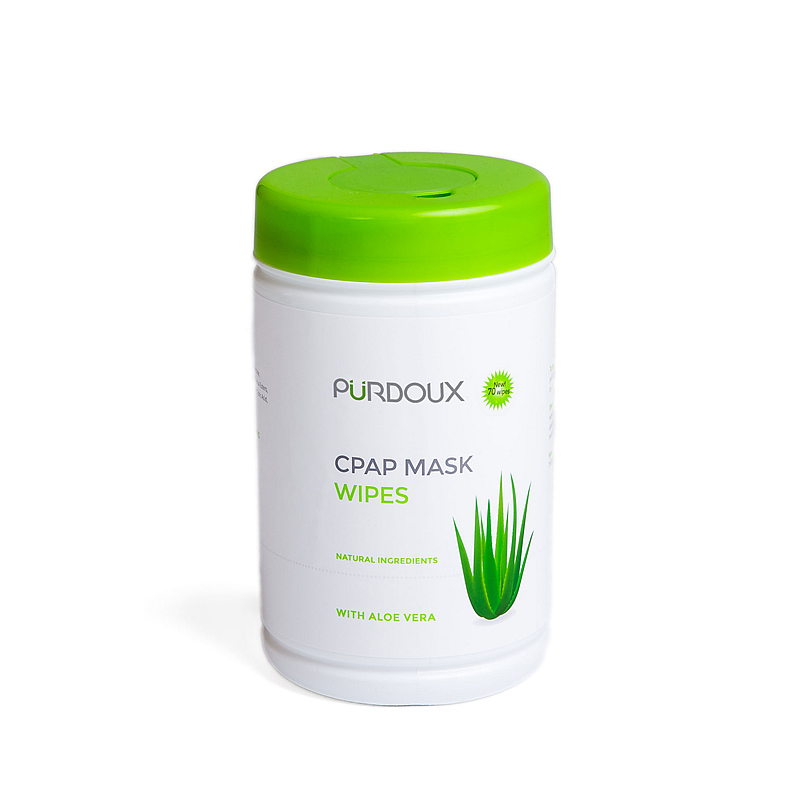 PURDOUX CPAP MASK WIPES WITH ALOE VERA 70 high quality 100% pure cotton wipes with high absorbency leveL PURDOUX CPAP Mask Wipes are made without the use of harmful chemicals and are designed for daily cleaning of your CPAP Mask. Our unscented wipes are made with aloe vera making it very soft for cleaning and moisturizing your hands. Features Alcohol and Solvent free Gentle on hands and silicone surfaces Ready to use 100% cotton wipes Natural Inredients with Aloe Vera: Water, Glycerin, Propylene Glycol, Chamomilla Recutita Flower Extract, Aloe Barbadensis Flower Extract, Tocopheryl Acetate, Polyaminopropyl Biguanide, Phenoxyethanol, Citric Acid, PEG-40 Hydrogenated Castor Oil.